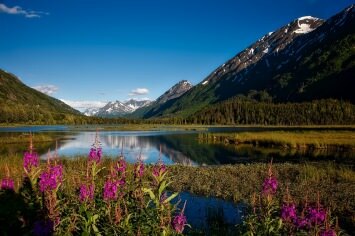 By Rebecca Turner - take our free lucid dreaming course. 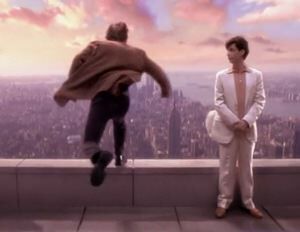 Vanilla Sky is, fundamentally, a movie about lucid dreaming. And there is something about it that only lucid dreamers will recognize. From the opening credits where our main character dreams of soaring over New York City, to the incorporation of the sound of his radio alarm: "Open your eyes, David". 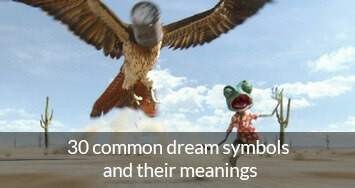 The whole movie reflects the power of the conscious dreamworld and the merging of dreams and waking reality. David wakes up - another day in his perfect life. He heads to work at the publishing empire he inherited from his father. But something is wrong with this picture: the streets of New York are completely devoid of human life. He runs through an empty Times Square, confused. Is this a dream? David wakes up - again. A lucid dreaming movie wouldn't be complete without the odd false awakening now would it? The movie progresses in a linear fashion for a while - but don't get used to it. David, a habitual womanizer, suddenly spies a gal he could actually fall in love with: Sophia. The egomaniac spends one entire night getting to know the captivating Sophia and becomes completely infatuated with her. The next morning he makes the biggest mistake of his life. He gets into the car with his embittered ex-girlfriend, Julie Gianni, who is suffering a case of unrequited love. 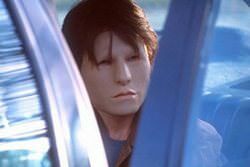 The result forms the foundation of Vanilla Sky, seeing David spiraling into a pit of self-loathing and pining after the relationship with Sophia that he just can't manage to forge. The movie then becomes a complex web of interactions, jumping between the past and the future, where David finds himself re-telling his story to a psychologist, Dr McCabe. 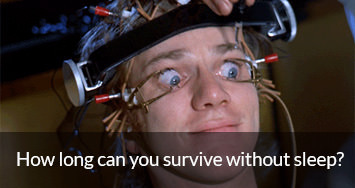 However, don't be fooled by anyone who says this movie is over-complicated. It's not. And I think I have a fair judgment since I still get baffled by a lot of guy flicks. Don't even ask me to tell you what American Gangster was about. I sat through all three hours of Denzel "one look" Washington and am still none the wiser. Ahem. Throughout Vanilla Sky, there are a dozen clues which nod towards the final twist (and I haven't spoiled it for you by talking about lucid dreams). I would list them here but that would be a major spoiler. However, do look out for scenes containing Monet's Vanilla Sky, after which this was named. There are some concepts that non-lucid dreamers will miss during this movie. 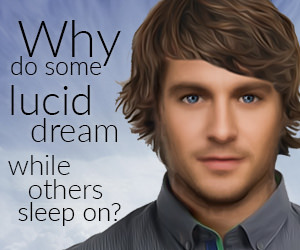 David finds himself unconsciously guiding the lucid dream scenes, which is perhaps why they turn out so disastrously for him. I think all lucid dreamers can relate to that when they have only partial lucidity - and can't understand why some commands won't work. We have the influence of the unconscious mind to thank for that. I also liked the way inconsistencies feed through his life like a dream, which other people will simply put down to his temporary derangement. There is also a great scene where Tech Support enters David's lucid dream and shows him how to control the behavior of everyone around him. 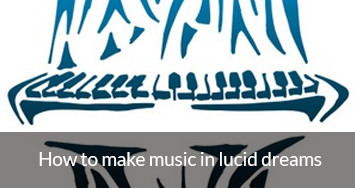 Lucid dreaming gold! 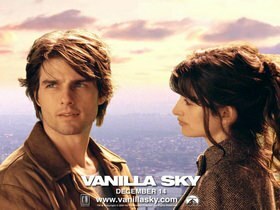 Best of all, I like the conclusion of Vanilla Sky. There is a subtle rundown of all the loose plot ends as David ascends into the sky - in what has to be the world's tallest glass elevator (a la Charlie and The Chocolate Factory). The entire life of David and those close to him are drawn into scary perspective as we realize the true purpose of this movie. As the main character, Tom Cruise gets a lot of screen time. For some reason his face just annoys most people I know. I see what they mean. But that's a ridiculous reason to shun this movie altogether, which many do. Vanilla Sky is massively underrated, which sadly goes to show how few people actually know about or have a passion for lucid dreaming. The soundtrack to this movie is great: bold and eclectic. It goes all over the place, featuring Radiohead, REM, Paul McCartney, The Monkees, Leftfield, Bob Dylan and The Chemical Brothers. I especially like the upbeat music when David has his worst breakdown moments. It becomes the soundtrack to his life. This movie is the re-make of the Spanish original, Open Your Eyes, which also starred Penelope Cruz. Many people praise the Spanish version and say that Vanilla Sky is just an overproduced, glossy Hollywood re-make. I think both versions are good in their own right. You may find, however, that reading the Spanish subtitles in Abre Los Ojos impairs your movie enjoyment. Vanilla Sky also boasts the bigger budget, making for a more visually enticing feast. My rating is 4 out of 5 stars. I'd give it 5 stars if only it appealed to a more people, but it simply doesn't. To that end my advice is: if you enjoyed Eternal Sunshine of The Spotless Mind - you will almost certainly enjoy Vanilla Sky too. Rebecca Turner is a science writer, illustrator, explorer of consciousness - and founder of World of Lucid Dreaming. She is currently studying for a biology degree in Auckland and blogging at her site Science Me. A lot has happened in the last 5 months. But how did we go from business as usual to changing the face of the entire lucid dreaming supplements industry? It’s a story that I think will interest you – and you might even learn a thing or two in the process. When I was first taken on-board as Chief Lucidity Officer in 2016, one of the first things I was tasked with was taking a good look at our operations and giving things a bit of an overhaul. 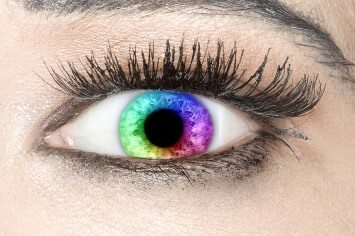 To lucid dream is to examine an intensely heightened state of self awareness, with all the senses activated - a uniquely human experience. What's more, lucid dreaming offers profound benefits that touch all of us, no matter our culture, beliefs or life circumstances. Ultimately, I think all of these benefits put together could play a serious role in advancing the human race. 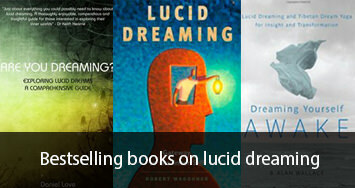 To lucid dream, I recommend being able to remember at least one vivid dream per night. That will boost your self awareness in dreams (making lucidity more likely) and also means you can actually remember your lucid dreams. Which is nice. Here are four detailed tips on how to remember your dreams more frequently. And if you don't think you dream at all - trust me, you almost certainly do. It takes an extraordinarily rare sleep disorder to deprive someone of dream sleep. 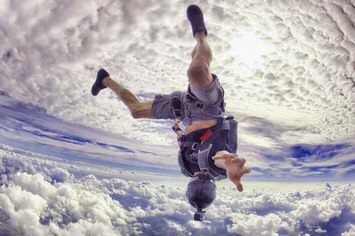 What Do Lucid Dreams Feel Like? Years ago, before I had my first lucid dream, I had a very specific idea about what a lucid dream would feel like. I thought it would be intense and magical and a little bit spooky. This turned out to be a pretty accurate representation. Becoming aware in the dreamstate is like entering another world. 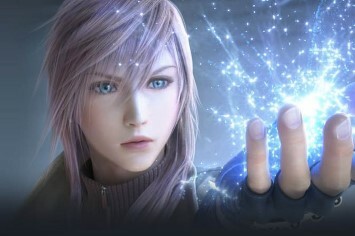 One where physical laws can be manipulated (there is no spoon, Neo) and your fantasies can come true in an instant. 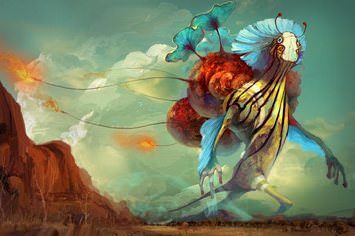 There's definitely something magical about that - and it's as if the lucid dream world is a living, breathing organism that can react to your very thoughts. 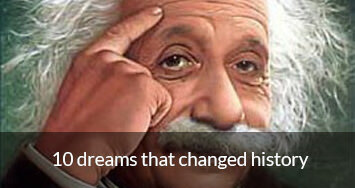 Experts agree that everyone is capable of having lucid dreams. Dreaming itself is a normal function of the mind. 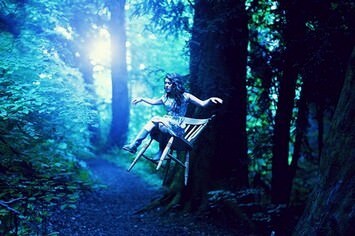 We all dream every night, even if we don't remember. And we all achieve conscious awareness while awake every single day. So what does it mean to combine these states? Why, the amazing ability to have conscious - or lucid - dreams. Sounds simple, doesn't it? 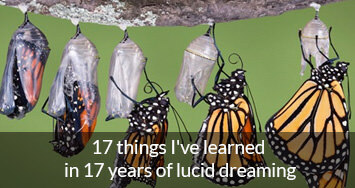 So why do I keep hearing from people who say they can't achieve their first lucid dream? 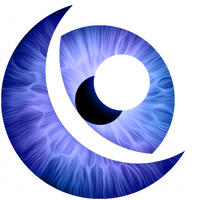 Copyright © 2008-2018 World of Lucid Dreaming. All Rights Reserved.